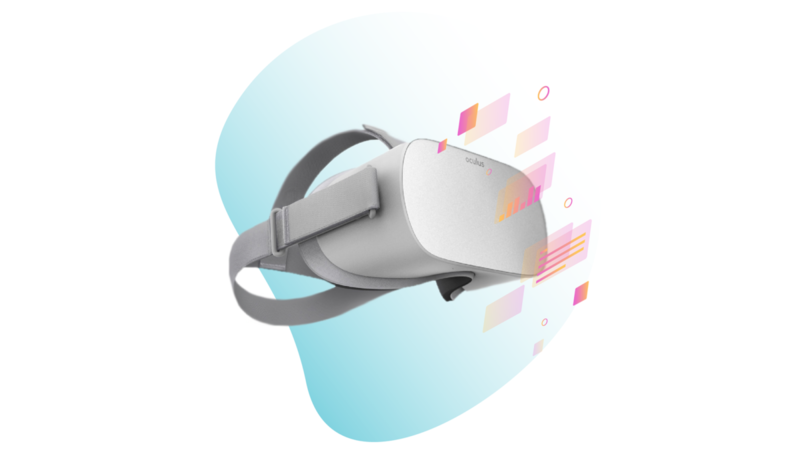 Headjack allows you to easily create and manage 360º video apps to distribute your content to the various VR headsets in the highest possible quality. But what steps do you need to take to create your own fully functioning, multi-platform app? Read on to learn just that! The first step is to create a free Headjack account. This free account gives you access to all the functionality of the Headjack platform, and allows you to build a working app. However, there will be a watermark visible in your videos. To get rid of the watermark, consider switching to a paid plan. Once you’re inside, the best thing to do is to start uploading your media files by clicking the Add media files button on the Media page. This includes your hi-res 360º videos, which we will automatically encode for you to the optimal resolutions for each of the VR headsets, your app icon, thumbnails and spatial audio files. Videos need to be processed and encoded by us first before you can add them to your projects. Processing takes a while, depending on the size and length of the file you have uploaded. You can monitor the status of your uploaded files on the Media page. Next, some guidelines for your media files. We currently support input video up to 8k in resolution. * Stereoscopic videos must be uploaded in over/under format. Now that you have uploaded your media files, it is time to create the projects that you want to display in your app. A project is a 360º video and all of its related information, like title, description and thumbnail. To create a project, go to the Projects page and click on Add project. You can then fill in a title and description, and add your 360º video, spatial audio (if your video uses this), and a thumbnail to the project. Then press Save to save your project. These projects you’ve just created now need to be added to an app, so let’s create one. Go to the Apps page and click on Add app. Here, fill in a name and add an App icon (do not upload transparent PNGs if you are building an iOS app for the App Store, because Apple does not like that). You will also notice a list of projects which you have created. Click the Add button behind them to add them to the current app. You can also choose to add additional media files to your app. Finally, you can select a template for your app. This template contains the general look and feel of your app. Initially, only the default template will be available. To get other templates, go to Templates > Marketplace. Here you can browse all the available templates, both free and paid, which you can then add to your collection by clicking the Add to My Templates button. You are now able to select this template when creating an app. If you can’t find any template that fits your needs, or if you simply want a fully customized app experience, then it is possible to download the Unity project of a template, giving you complete freedom to tweak it to your exact wishes (check out our API docs for more details). The template project is a simplified version of the full video engine, but it allows you to test all functionality. If you want to test your interface in combination with the Headjack CMS, you will first have to upload your template project to Headjack and create a build of your app. To export your template project from Unity, select Headjack > Export Project as Template from the top menu in Unity. This will package your template as a .zip, which you can then upload in the CMS on the Templates > My Templates > +Add Template > Upload template package. Headjack allows you to build VR apps ready for publishing in the app stores, as well as for local use outside of the stores. Depending on which platform and which distribution channel you choose, you will need to upload some so called “app signing” files. Check the table below if you need to upload any app signing files for your particular app build. To upload your app signing files, go to Settings > App Signing and click +Add signing files, select your platform, fill in all fields and upload your files. The final and most exciting step is of course to generate a build of your actual app. For this, we integrated Headjack with Unity Cloud Build. But you don’t have to worry about any of this, because all you have to do is go to Apps and click on the app you wish to build. Now select the platform, whether your app is for store or local use, and then add app signing files, if required. The Build button then becomes active. When you click the Build button, your app will be queued on Unity Cloud Build. You can check the status of your build on the Builds page of your Headjack environment. When your build is finished, which can take anywhere from 10 to 45 minutes, you will receive an email with the download link. This download link can also be found on the Builds page. Congrats! You have just created your first virtual reality app! Upload your media files, including videos, app icon, thumbnails etc. That’s all! You can now decide if you want to add you app to an app store.